Nothing better than some ambient disco indietronica with a lot (and I mean a lot) of cowbell. 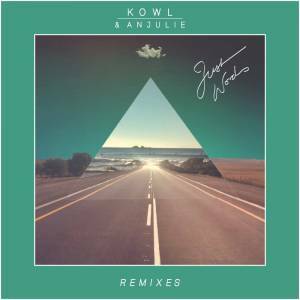 If you're looking for a solid soundtrack for your road trip, then this gorgeous Lifelike remix of KOWL & Anjulie's "Just Words". If you dig French house music, then what I would suggest is to close your eyes and daydream for the next 5 minutes or so. Honestly, it's so much good stuff going on in those 5 minutes... actually as I was writing that daydream thing, then I felt the sudden urge to just run around. Yeah, this remix is definitely a curve-ball. Reminds me of a Tycho meets Darius meets Little Dragon kind of mix. The track is released via US-based independent label Casablanca Sunset and it also comes with 2 other remixes from Mona Vale and EDES.